The feature of remote access allows a user to share any file from any location in a secure manner. The collaboration of data can be achieved with great results. When multiple users have to work on a large database application, then it becomes necessity to have such an incredible feature to get accounting activities done with minimal wastage of time. Whatever the size of the office is or wherever it is located, QuickBooks hosting shows no constraints. With remote sharing system, it makes no difference whether staff members are working together at one location or at different locations. The reason is that the entire business data is saved at a single location on the client’s dedicated server. All users can access the same server remotely and perform work in real-time basis with no need to synchronize the data by sending files to and fro. The IT support provided by hosting providers takes various forms like real-time chatting, round-the-clock phone availability, quick reverts of mailing system and even establishment of Remote Desktop Connection with client’s machine. So, no matter what kind of problem arises, the entire work arena of clients is technically backed all the time and thus, no hindrances in the functioning of the system are encountered. The important fact which cannot be ignored here is the input cost to set up a new business. It is the demand of every business to establish it in the lowest cost possible especially during its initial phase. Accounting is an essential part of every business but having an intense in-house setup for accounting activities is not a path that most business owners prefer to choose. With QuickBooks hosting, CPAs and individual accounting practitioners need not establish a complex system for their work. They can work in a virtually collaborated environment delivered at a small monthly cost by the hosting service provider. 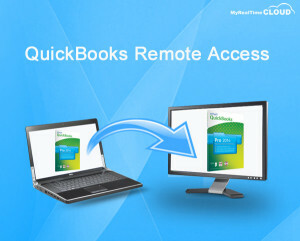 QuickBooks hosting offers a secure and protected work environment for confidential accounting activities. Hosting utilizes all the protective methods to guard the client’s database from unauthorized access of hackers or spammers thereby delivering safety at par with an in-house system.